This bright pure red is like the red silk lining of a jacket, because of the way it looks we love it used as a interior of a cupboard or drawer. I especially love it with dark wax (see my photo above.) I also love it for accenting! Use it inside a cabinet or a drawer for a fun unexpected pop of color! 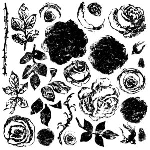 Coral Chalk Paint®: Mix equal amounts of Pure White & Emperor's Silk and half amount of Scandinavian Pink for a pretty pink. Then to achieve coral add equal amounts of Barcelona Orange. 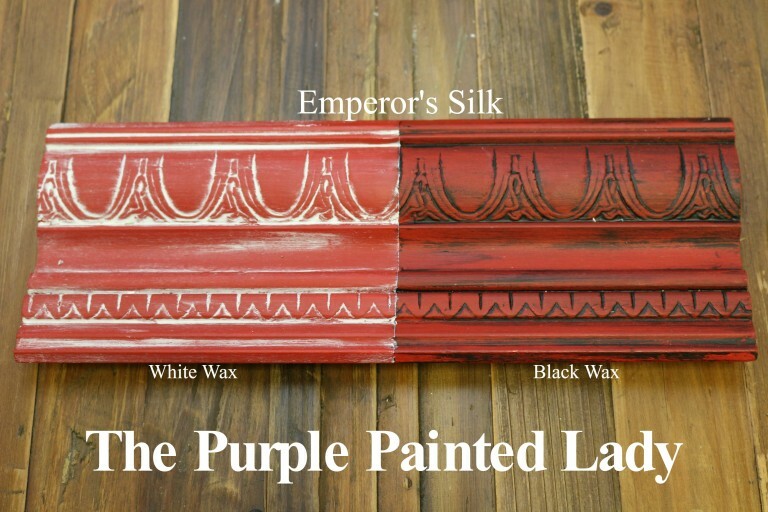 Dark Purple Chalk Paint®: Mix equal amounts of Emperor's Silk with Napoleonic Blue. 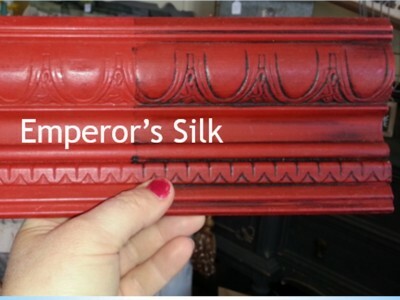 Something to understand about "red" paint- and I am speaking generically here- no matter the type of paint or the brand.... the color red, is a translucent pigment that always takes multiple coats to get that rich, deep saturated color. It is notorious for that. Sometimes I Will apply a coat of Annie's Primer Red first and then paint the Emperor Silk over that- to help with the richness. 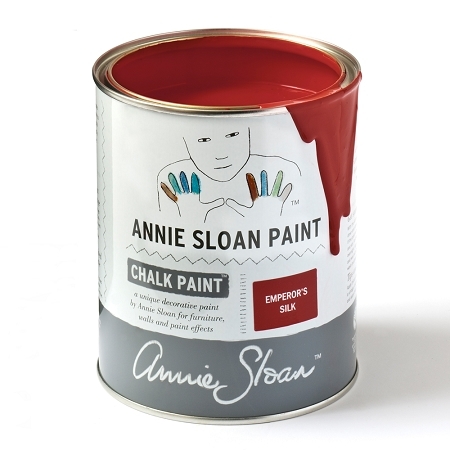 Know that if painting with "red" you may need to apply three coats- so base your paint needs on that.